A checklist is a type of informational job aid used to reduce failure by compensating for potential limits of human memory and attention. It helps to ensure consistency and completeness in carrying out a task. A basic example is the "to do list." A more advanced checklist would be aschedule, which lays out tasks to be done according to time of day or other factors.Checklists are often presented as lists with small checkboxes down the left hand side of the page. 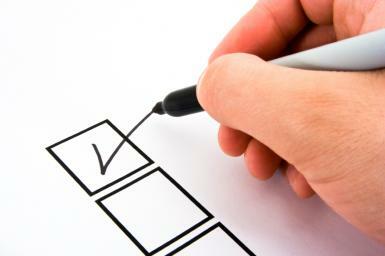 A small tick or checkmark is drawn in the box after the item has been completed.Other formats are also sometimes used. Aviation checklists generally consist of a system and an action divided by a dashed line, and lack a checkbox as they are often read aloud and are usually intended to be reused. Valid Passport with student visa is the foremost legal document required to study abroad. Identity proof for example International student card, S-pass etc. Contact details of local friends or relative in the host country and if you have any extra curriculum activities certificates.